Ah, tis the season of super bowl parties and the finger food that accompanies them. At many such events you’ll find a variety of roasted peppers stuffed with the likes of pimento cheese, shrimp, straight cheese, wrapped in bacon, the infamous “fried rat toes” from Six Feet Under, etc. Why take the easy route when you can get fancy by stuffing them with juicy short rib or smoked fish? Let’s start w/ the short rib; as many of you know I love slow braised meats, or in this case, quick using a pressure cooker. 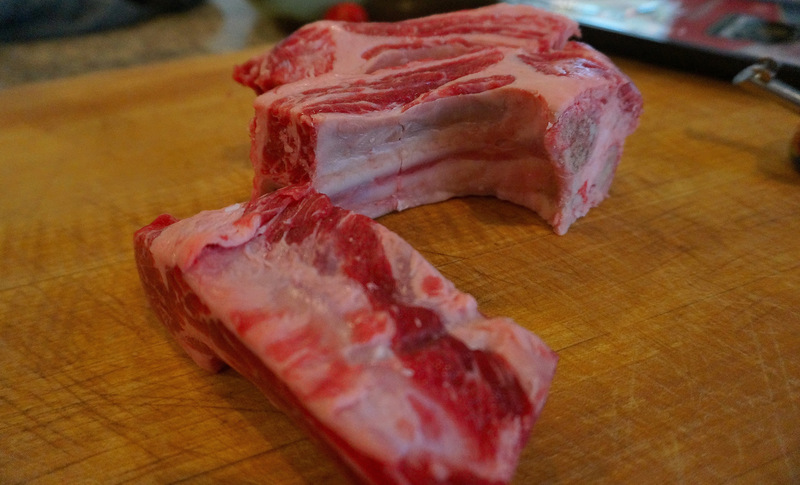 Start with braising the short rib and be sure there is enough liquid in the pressure cooker; liberally season the meat on all sides and brown the veggies; follow the link above. For the fish, rub w/ EVOO and season with salt and pepper; smoke indirectly on 225 – 250 for about thirty minutes, or until the fish starts to firm up. 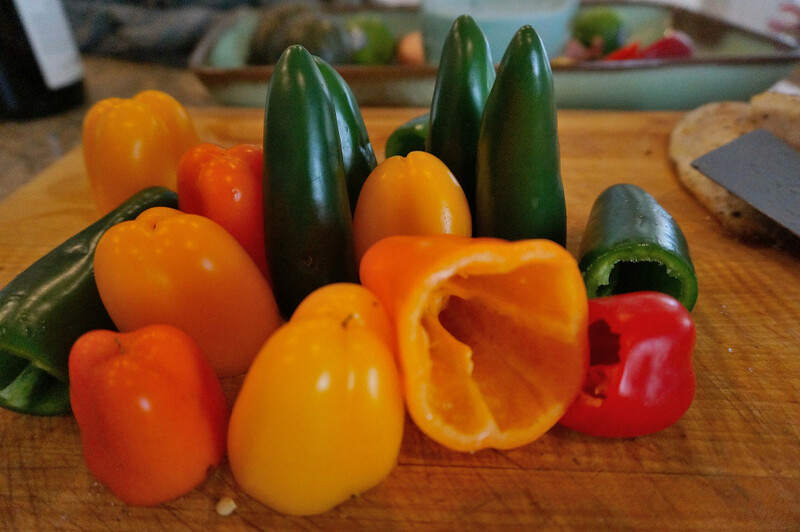 For the peppers, any will do depending on your heat tolerance; be sure to thoroughly de-stem and de-seed the peppers. I used jalapenos for the short rib, and the batch I purchased was way hotter than I anticipated;the heat can vary widely so I would suggest testing one first before serving them and burning your guests. 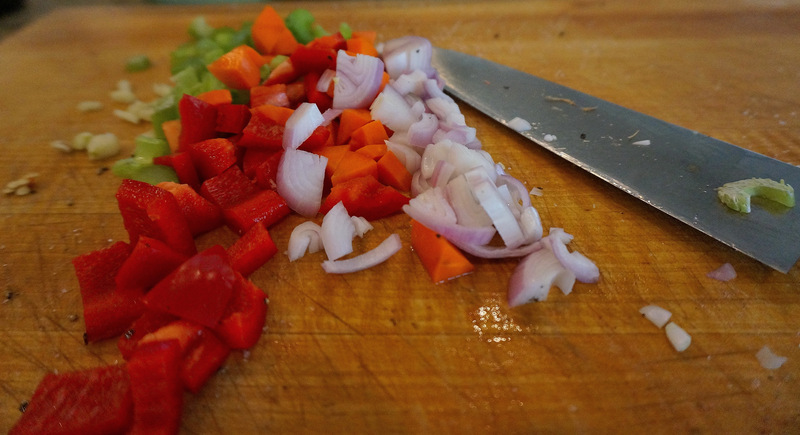 For the short rib peppers, separate the meat from the bone and chop fine, discarding any big chunks of fat, unless that’s what you prefer; mix with the cheese and a tbsp of the cilantro and stuff the peppers. For the fish, just mix with the remaining cilantro and stuff the peppers; I preferred the sweet peppers with the fish. Return to the grill or smoker and cook for another 5 – 10 minutes and serve. 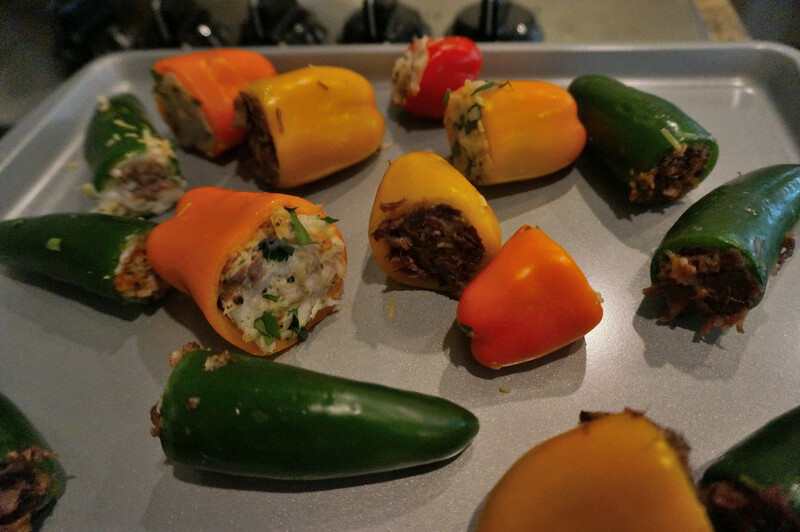 Stuffed peppers ready to wow your Superbowl guests!